This stuff is seriously good! 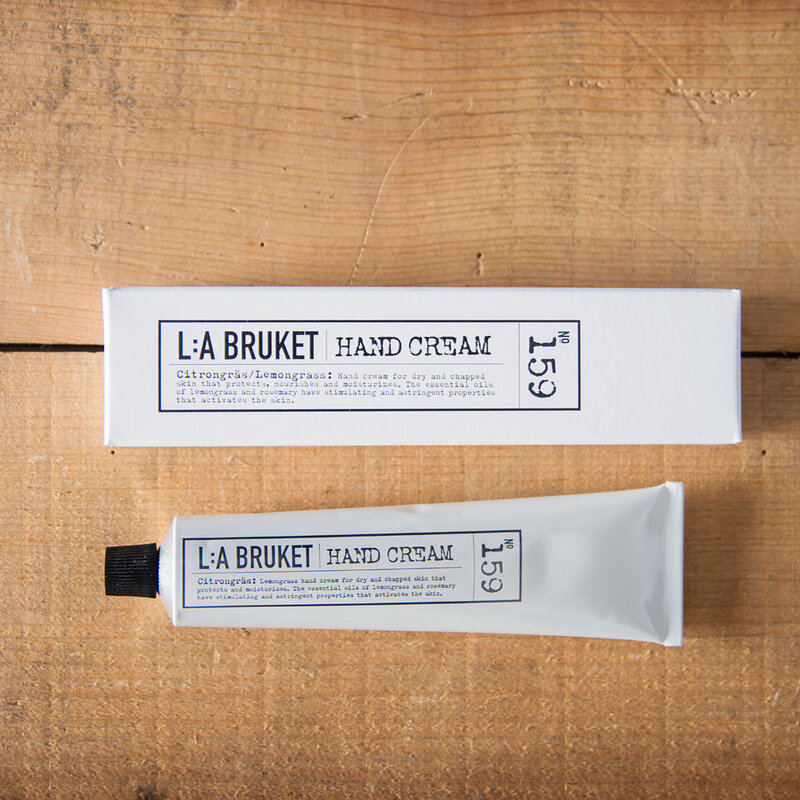 Totally brilliant hand cream that gives great protection and hydration and leaves your hands feeling and smelling delicious. 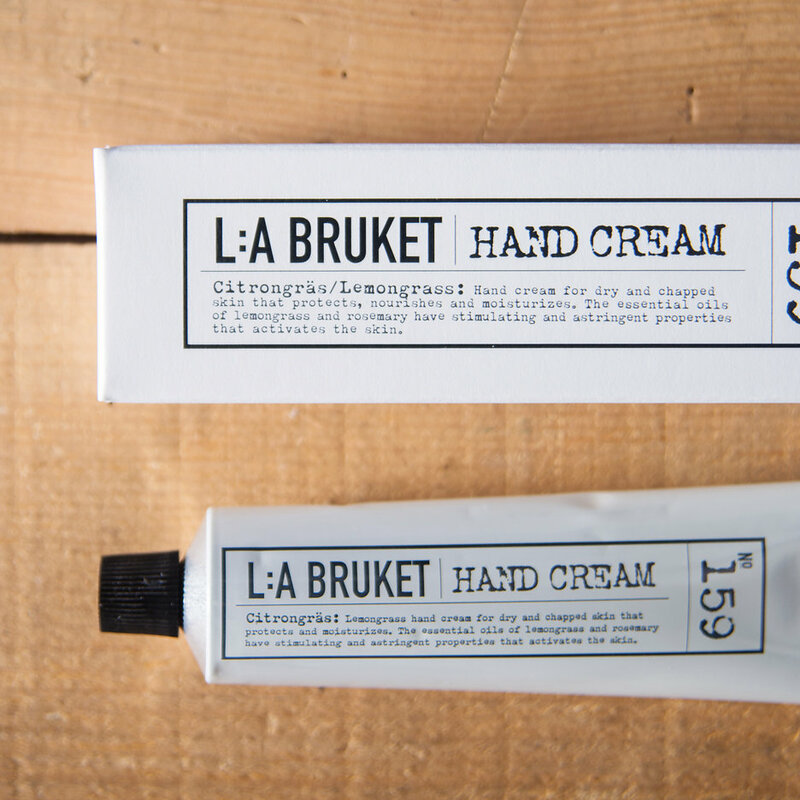 Made in Sweden, L:A Bruket have created a fabulous and natural skincare range that is tried, tested and loved by us at The Gilded Cabinet as well as hunky Swedish fisherman! The essential oils of lemongrass and rosemary have stimulating and astringent properties that activate the skin, shea butter and coconut oil moisturize, nourish and protect. 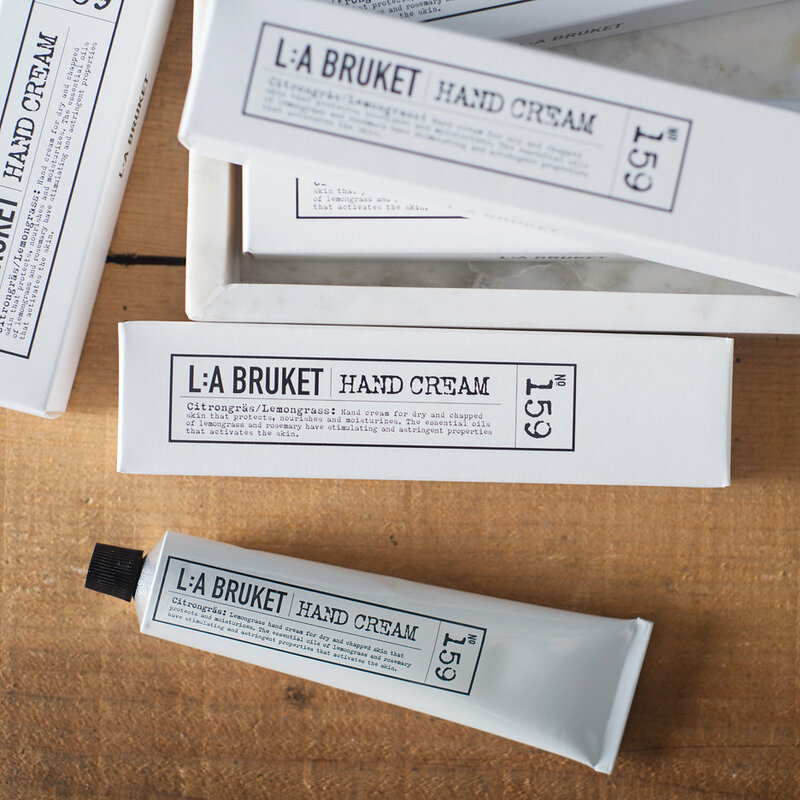 Beautifully packaged in classic black and white, encapsulating its Swedish heritage, we think you will be hooked once you have tried it.